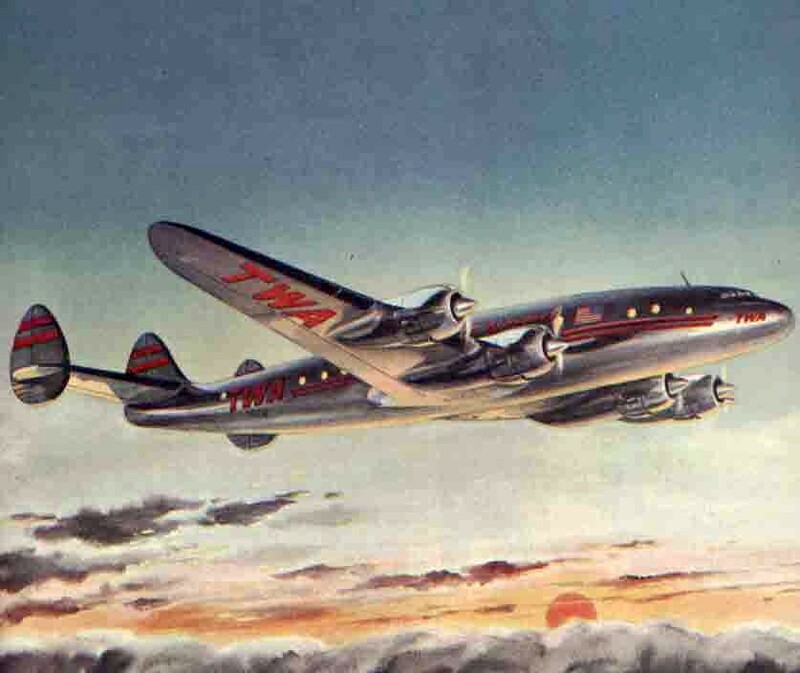 3 February 1946: Transcontinental and Western Airlines (“The Trans World Airline”) inaugurated non-stop passenger service from Los Angeles to New York with it’s Lockheed L-049A Constellation, Navajo Skychief, NC86503. Captain William John (“Jack”) Frye, president of the airline, and his co-pilot, Captain Lee Flanagin, T&WA’s Western Region Operations Manager, were at the controls with Captain Paul S. Frederickson and Captain A.O. 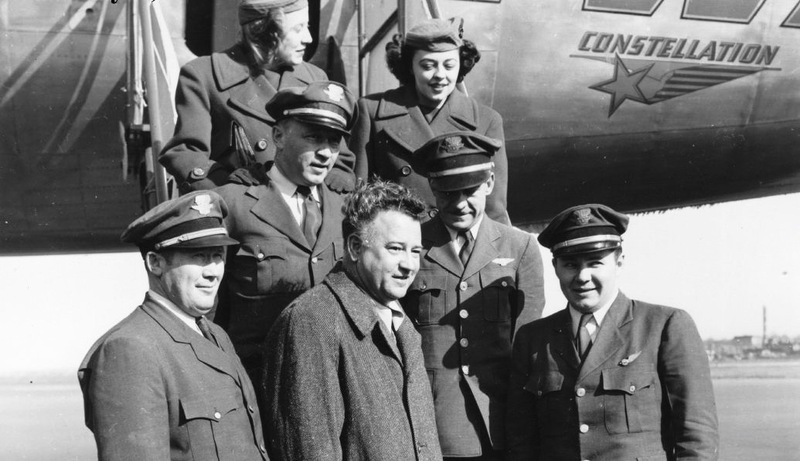 Lundin aboard as relief pilots. Flight Engineers Paul Henry and E.T. Greene completed the flight crew. 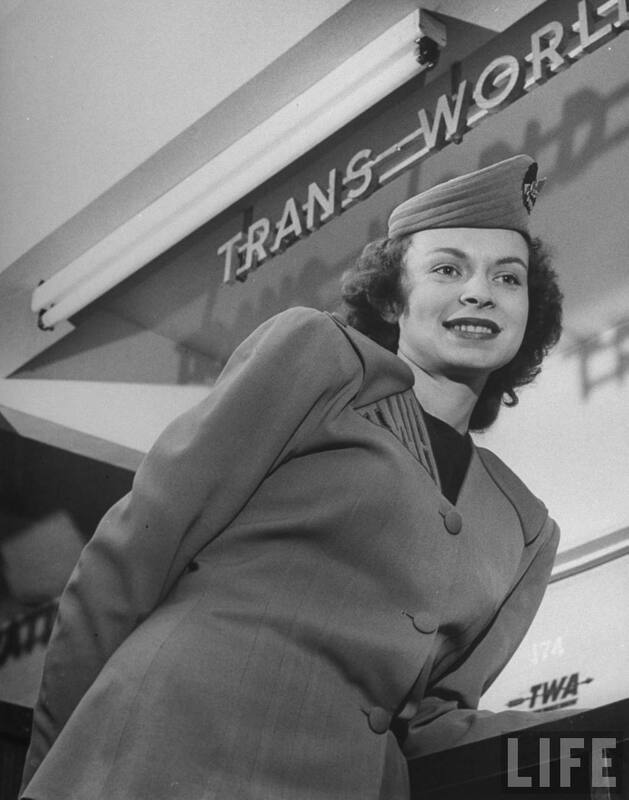 In the passenger cabin were flight attendants Dorraine Strole and Rita P. Crooks. The 44 passengers were primarily news reporters. Navajo Skychief departed Lockheed Air Terminal, Burbank, California, at 12:59:12 a.m., Pacific Standard Time, and flew across the North American continet at an altitude of 15,000–17,000 feet (4,572–5,182 meters), taking advantage of tailwinds throughout the flight. The Constellation crossed over LaGuardia Airport, New York, at 1,500 feet (457.2 meters) at 11:27 a.m., Eastern Standard Time. 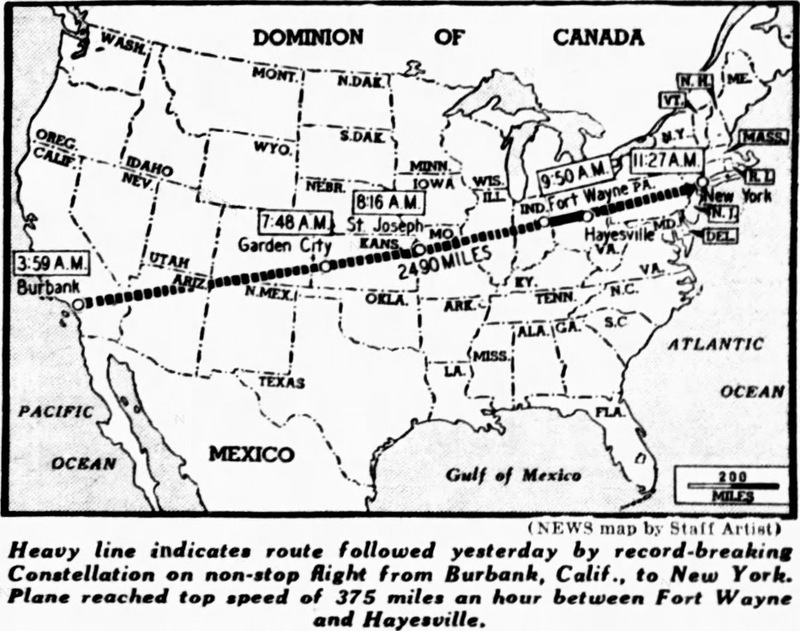 The 2,474-mile (3,954.2 kilometer) Great Circle flight took 7 hours, 27 minutes, 48 seconds, averaging 329 miles per hour (529.5 kilometers per hour), setting a National Aeronautic Association transcontinental speed record for transport aircraft. 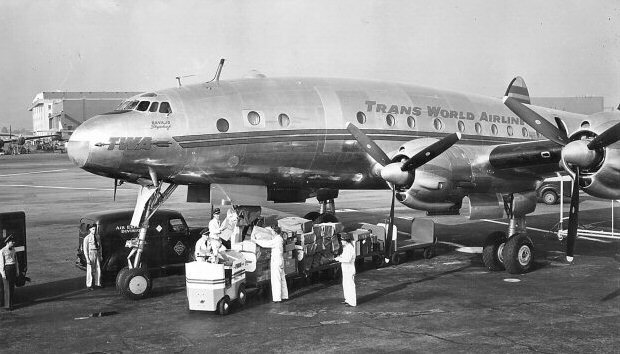 With 52 persons aboard, this was the largest number carried in commercial passenger service up to that time. 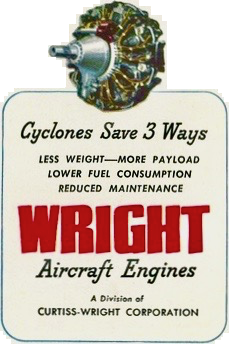 The four Duplex-Cyclone engines burned 450 gallons (1,703.4 liters) of gasoline per hour. On landing, 610 gallons (2,309.1 liters) of fuel remained. 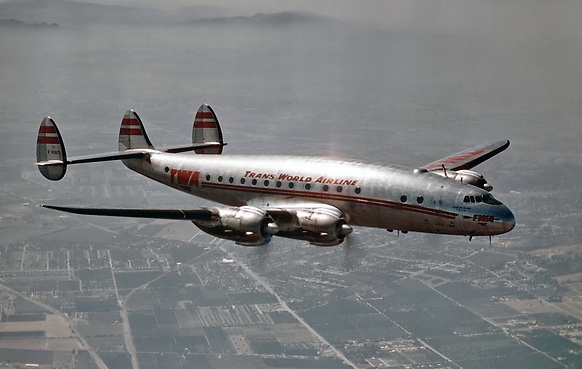 Navajo Skychief (serial number 2024), a Lockheed Model L-049-46 Constellation, had been built at Lockheed Aircraft Corporation’s Burbank, California, plant and delivered to Transcontinental and Western on 20 December 1945. 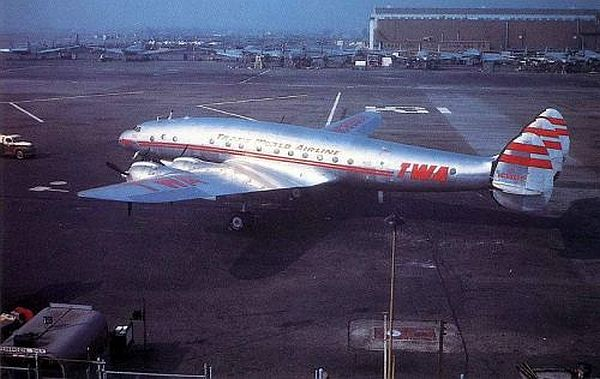 The airliner remained in service with TWA until March 1962. During that time it was also named Star of the Nile and Star of California. The Constellation was scrapped in May 1964. Jack Frye had founded the Aero Corporation of California, which would later become Transcontinental and Western, on 3 February 1926. He died at Tucson, Arizona, on 3 February 1959 at the age of 55 years.